Wouldn't it be great if dogs could talk? Learning how to read and interpret subtle body language and facial expression will allow us to understand what a dog is really trying to tell us. Being able to read a dog will allow you to understand and even predict canine behaviour. This fascinating subject will open up a whole new way of communicating with your dog that you may not even have realised was possible. You will truly begin to speak dog. Does a dog lying on its back really want a belly rub? Is a wagging tail a sign of a happy dog? Can dogs feel guilt? This course will begin to answer some of the most misunderstood canine behaviours and as a result will change the way you interact with dogs forever. This is the course dogs want you to attend! 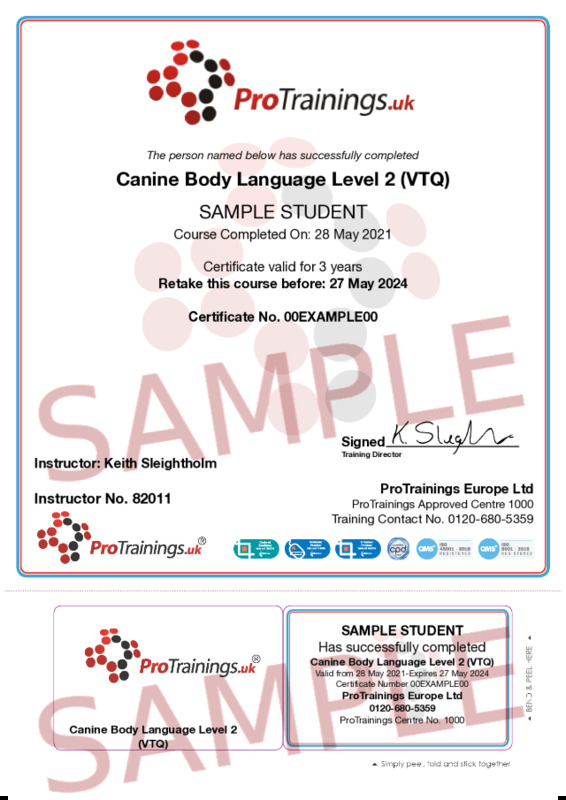 This course is recommended for dog owners and professionals.